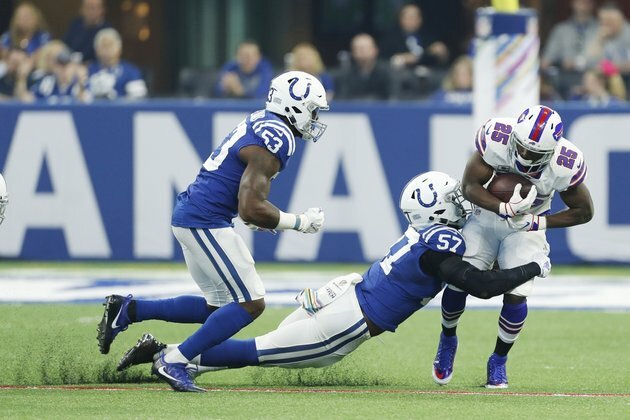 Buffalo Bills running back LeSean McCoy exited Sunday's game against the Indianapolis Colts in the first quarter with a head injury. The 30-year-old McCoy finished with two carries for one yard. He was replaced by Chris Ivory, who ripped off a season-high 21-yard run early in the second quarter. McCoy has 2,248 carries for 10,336 yards with 66 touchdowns while also catching 454 passes for 3,463 yards and 15 scores in 139 career games with Buffalo and the Philadelphia Eagles. He was a second-round pick of Philadelphia during the 2009 NFL Draft. He has been the subject of trade speculation in recent weeks ahead of the Oct. 30 deadline.